The delightful tales of whales and cats and kangaroos and crabs – everything from how the camel got in a humph (and got his hump!) to how the alphabet was invented. Enchanting and funny, these fantastical stories continue to delight each and every generation. 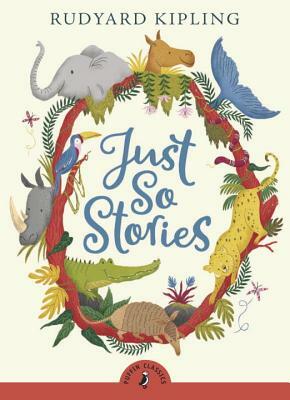 With an inspiring written, inspiring introduction by Jonathan Stroud, author of the Bartimaeus trilogy, Just So Stories by Rudyard Kipling is one of the twelve wonderful classic stories being relaunched in Puffin Classics in March 2008. Joseph Rudyard Kipling (1865-1936) was born in India, although educated in England. He was a prolific writer and recognized as a genius. In 1907 he was awarded the Nobel Prize for Literature. His many books for children include The Jungle Book and Kim.